When I finish helping Ariel with the downstairs of their "new/old" house I'll be heading upstairs to work on the children's rooms. (Here's where the real fun begins!) Moussia and Zelda are sharing a room and Yosef has his own and although we'll be using the duvet covers from their old rooms which will set the tone they'll still need paint, rugs, and accessories. these vinyl hebrew letters for the wall—so cute for the playroom. 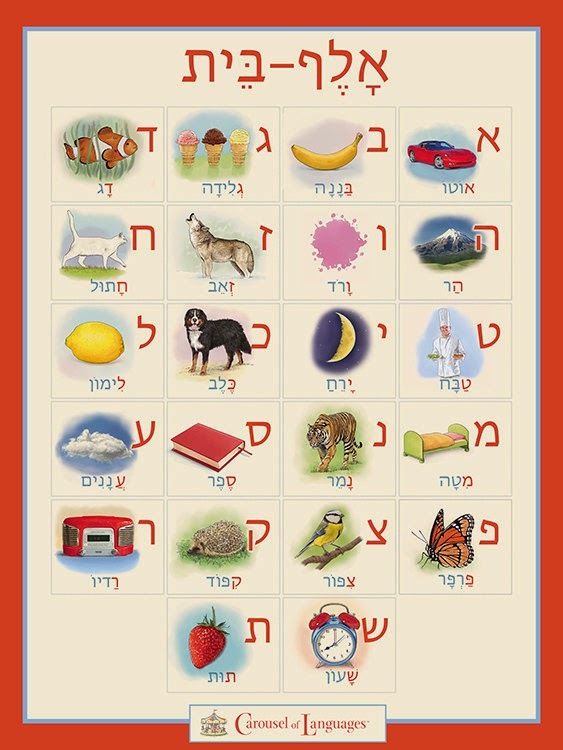 this hebrew alphabet poster would look great in Yosef's room. 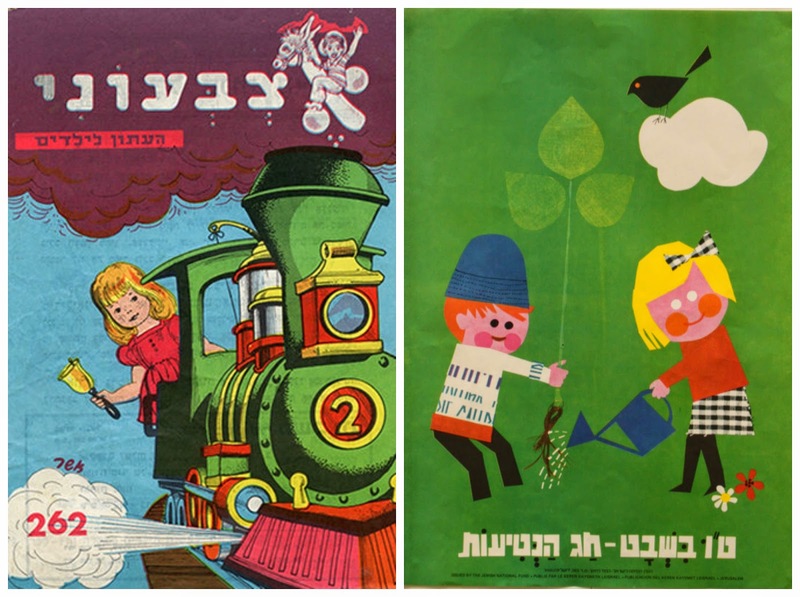 or maybe a vintage poster from Israel? Or this one? 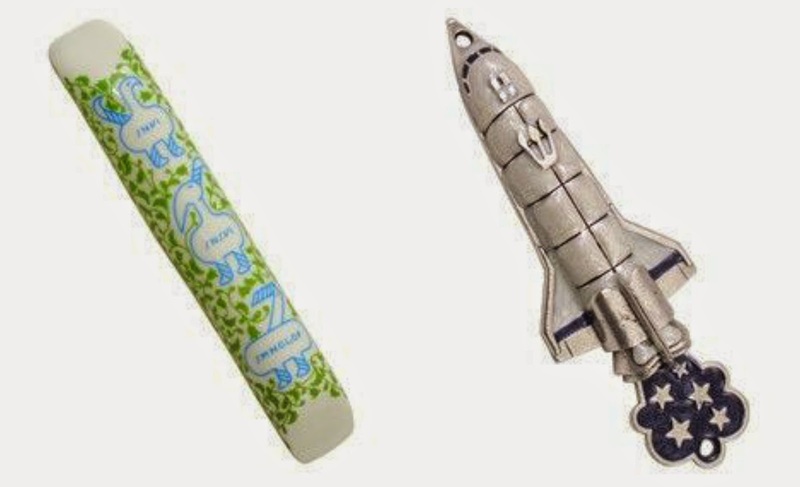 There are so many cute mezuzahs for children on the market...I love the left one for the girl's room and of course the rocket ship for a boy's. 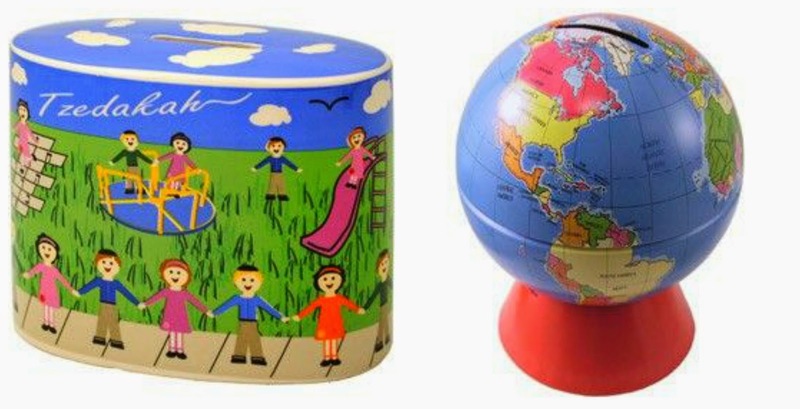 Same goes for tzedakah boxes...I've always loved this globe. 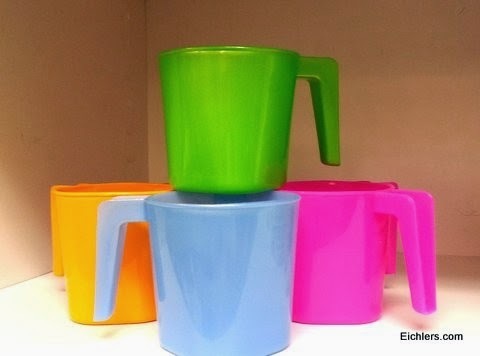 Fun colored Netilat Yadayim cups are cute for the morning ritual of washing. This quote, from the Friday night Shabbat prayer looks so great with large type and framed for a girls room. 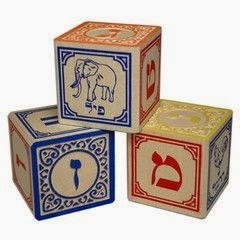 Zelda actually got a set of these beautiful blocks for Chanukah (thanks Aunt Lisa!) and I'll incorporate them on a shelf. 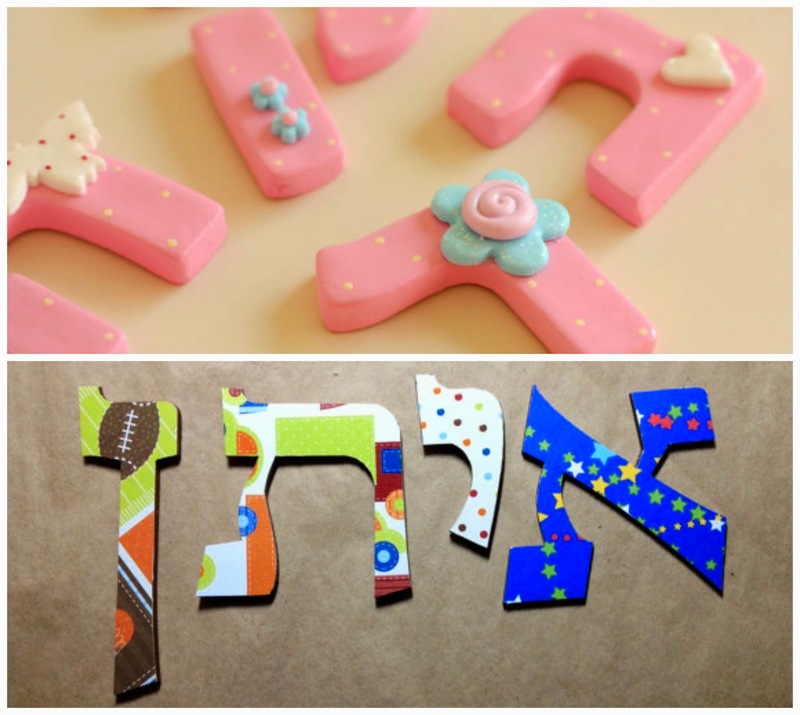 These wood letters (below) are so colorful and fun...and a great way to teach your child how to spell their Hebrew name! Or, (above) pretty in pink. Until then, there is a lot of painting going on downstairs...the reveals to come soon!